Your brand should be your company’s most valuable asset. Treat it that way! Use these free resources to help you grow, maintain, and protect your brand equity. Most brands have numerous components in across multiple media — think fonts, colors, and web domains. Keeping your brand organized and protected requires an inventory. 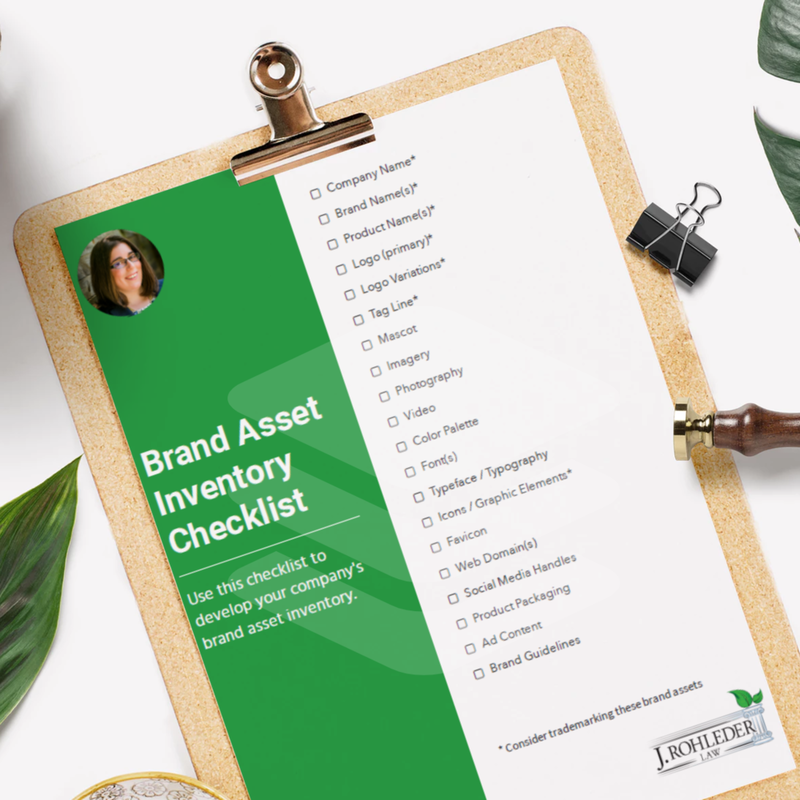 Use this comprehensive checklist of potential brand assets to help you develop your brand asset inventory more quickly (and not forget something important). Brand equity is like compound interest on your investment in your company. Accruing just a little bit steadily over time can yield exponential returns. But when we think about branding, its easy to fall down a rabbit hole. Use this 8-page workbook to keep you on the right path to reflect on and better understand your brand’s value. You work hard developing your brand. Don’t let someone else steal the value from you. Let’s keep it legal! This short guide contains the top 4 ways to protect your brand assets.